The future of the connected car is here. ZAZ GPS powered by SG Connected Car enables your dealership to maintain a direct connection to your customer’s vehicle for lifetime of its service plan. Service department customer retention levels remain an ongoing challenge for auto dealerships. In today’s market, auto dealers are still losing a significant percentage of new car sale customers to the service aftermarket. By maintaining an ongoing connection to your customer’s vehicle, ZAZ is a new tool for dealerships to improve this critical metric while at the same time provide new car sales opportunities. The same issue faces sales departments. 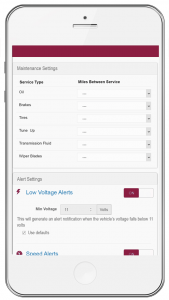 With ZAZ, your service department receives email alerts based on dealer defined mileage levels. 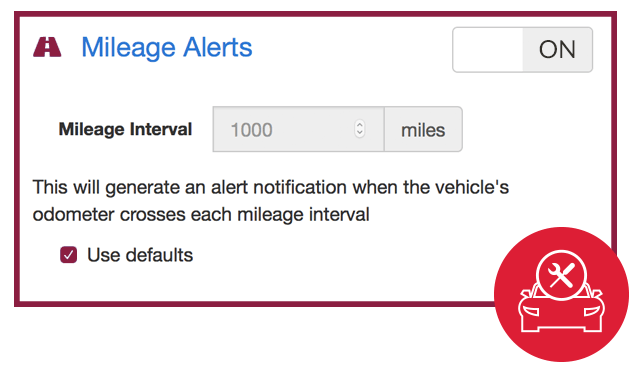 The mileage alerts are user defined to be set at levels related to vehicles service date requirements. Service receives a email alert when a customer’s vehicle maintenance is pending and due. Your service department can then notify the customer of pending recommended services and/or offer special incentives. In addition, email notifications can be set to alert sales staff of customer vehicles hitting mileage milestones, which in turn can trigger potential trade in offers and new sales opportunities. For example, system can trigger new sales department email alerts on all 36 month lease vehicles passing 30k miles in use. Mileage level service or sales alerts can be custom set by dealer.